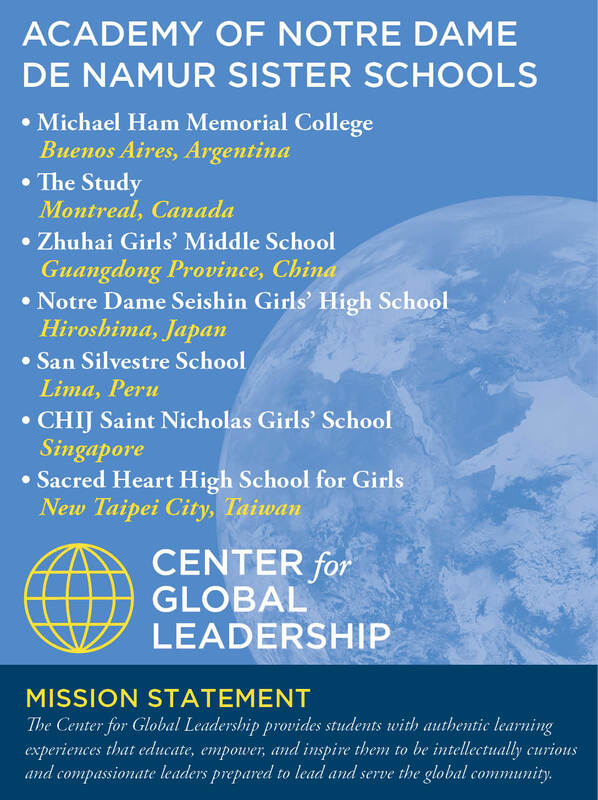 Notre Dame’s Center for Global Leadership realizes the Academy’s Strategic Vision 2015-2020 goal to educate, empower, and inspire women to be compassionate leaders in a global society. The Center is inspired by the legacy of the Sisters of Notre Dame de Namur, who live and serve on five continents, and will equip Notre Dame students to become informed global citizens. 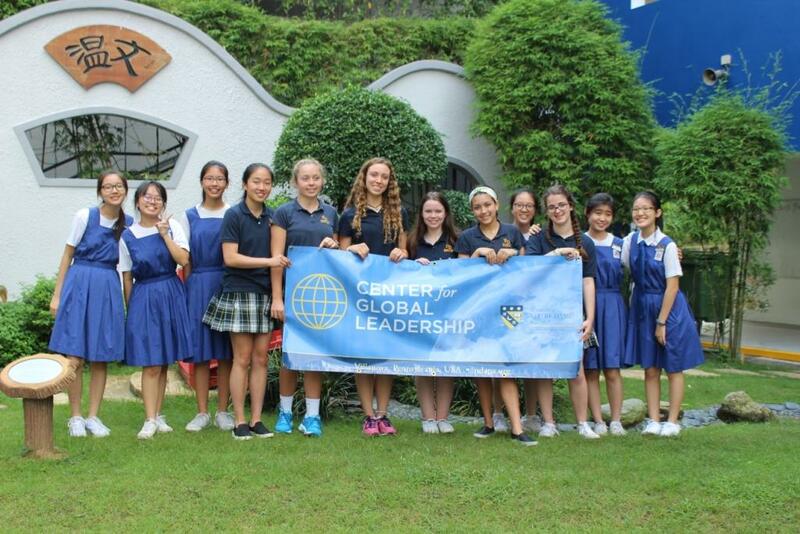 Global Citizen Scholar Program - provides accepted ninth-grade students with an intentional academic and extracurricular path that focuses on global themes and issues through course requirements, cross-cultural experiences, educational and community-engagement, international travel and participation in globally focused domestic programs. Students who complete the four-year program will receive designation as a Global Citizen Scholar on their official transcript. Learn more here. Partnerships with sister schools around the world encourage in-class international student collaborations, travel exchanges, pen pal communication, and shared teaching and learning opportunities. Notre Dame currently has partnerships with sevens schools in Argentina, Canada, China, Japan, Peru, Singapore and Taiwan. Curriculum enhancement based on a global learning rubric that will deepen intercultural knowledge and understanding in all departments, increase experiential learning opportunities at Notre Dame and abroad, and expand course offerings and extracurricular options to include more global topics and perspectives. Increased opportunities for students to participate in diverse and authentic leadership experiences both locally and internationally. Speaker Series and Panel Discussions that provide the entire school community with speakers who offer expert opinions and information relevant global issues.